Gelynis Farm is situated five miles north of the centre of Cardiff under the vista of Castell Coch (The Red Castle). 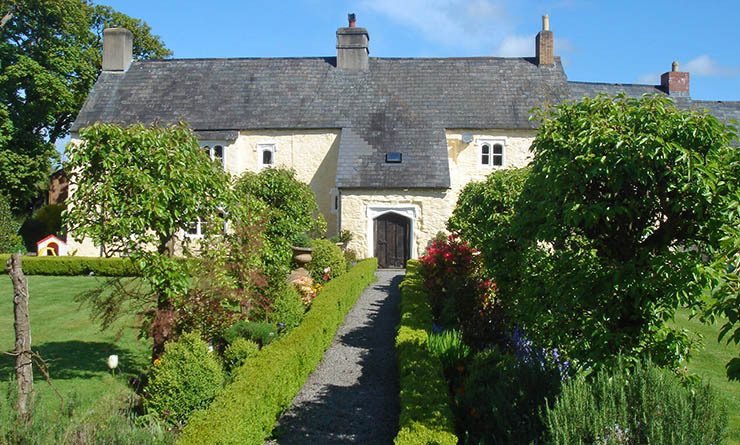 The house was built in 1574 for the master of the Pentyrch Iron Foundry. The Hearth and Passage house with dressed stone windows and doors have been restored to accommodate our 21st Century guests. Tourists and Business people who stay here are in an ideal place. Cardiff is 10 minutes drive or train ride. Situated next to the River Taff and the Taff Trail, the Brecon Beacons and the coast are within 30 minutes. Great pubs are within walking distance for places to eat. You can even catch dinner from the river on the farm's mile long stretch of river.